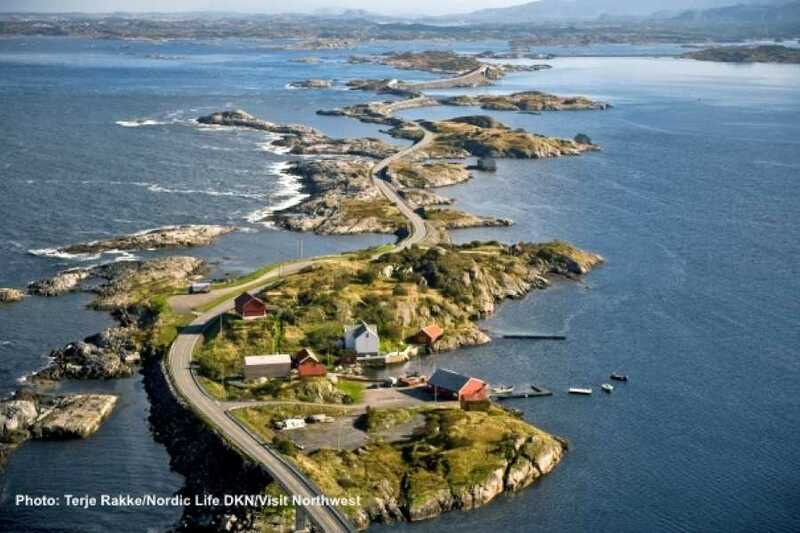 This trip takes you from Kristiansund to what is often described as the world’s most beautiful road! With its location at the edge of the mighty ocean, the Atlantic Road is as beautiful in sunshine and calm weather as in full storm and rain. 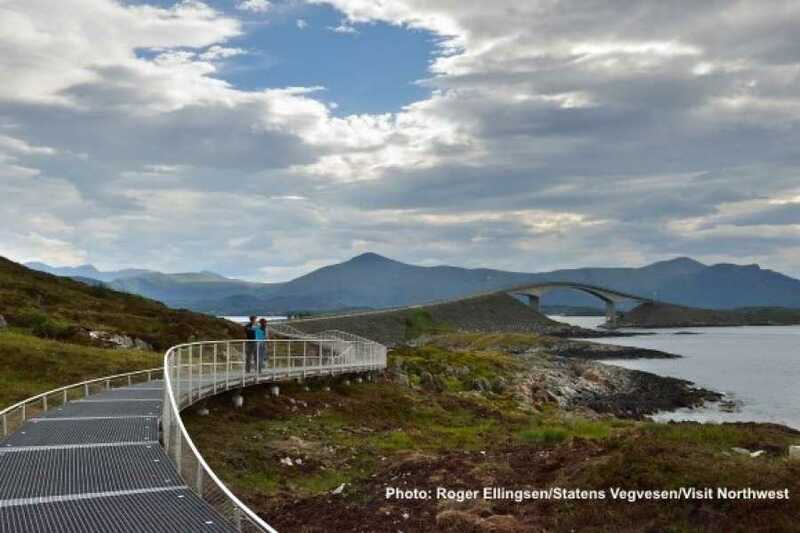 By the Atlantic road, the bus stops at Eldhusøya, where you can take a walk on the suspended walkway around the islet. The walkway consists of latticework (“grids”) “floating” above the terrain, and is suitable for or anyone. 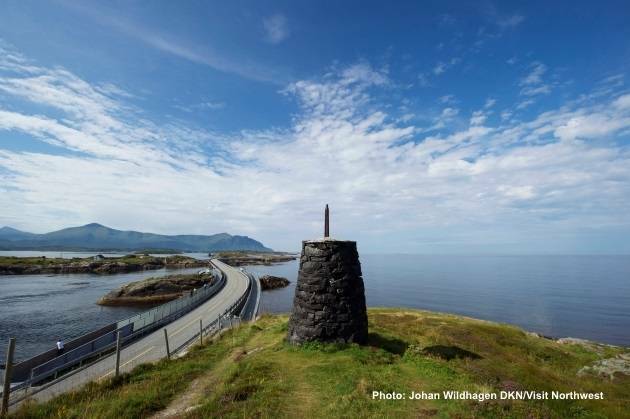 After the stop at the Atlantic Road you go back to Kårvåg and then on to Kvernes stave church. You have some time at Kårvåg before the bus to Kvernes departs, and we recommend that you visit Bjartmars Favorittkro for lunch. This is local restaurant situated just a few minutes walk from the bus stop (back along the road towards the Atlantic road). You have the possibility to buy a lunch coupon as an add-on to this trip. Kvernes stave church is a beautiful and special stave church. Dating from approx. 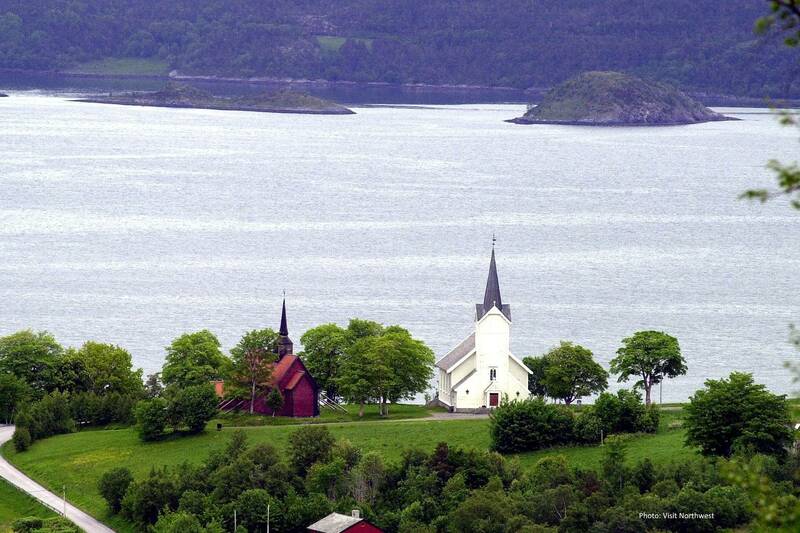 1300 AD., is one of the youngest of the Norwegian stave churches. 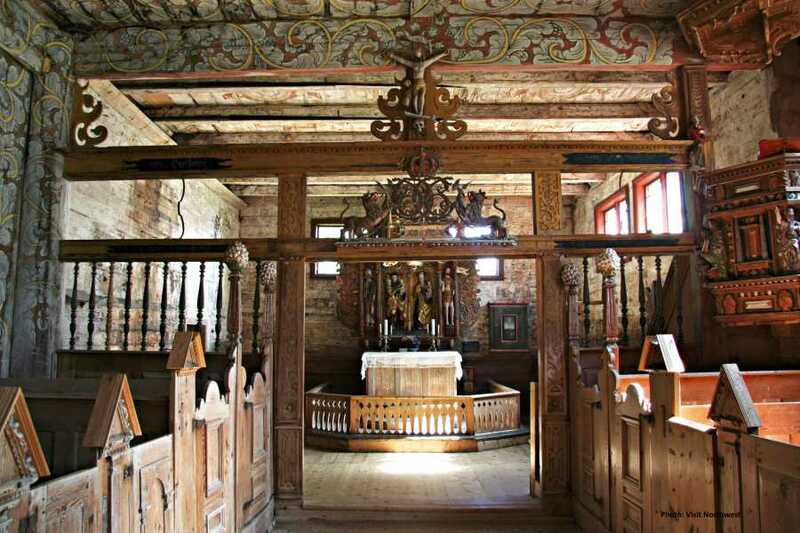 Inside the church you can see a choir screen with crucifix and royal monogram, a baroque pulpit, and painted acuantus decorations. 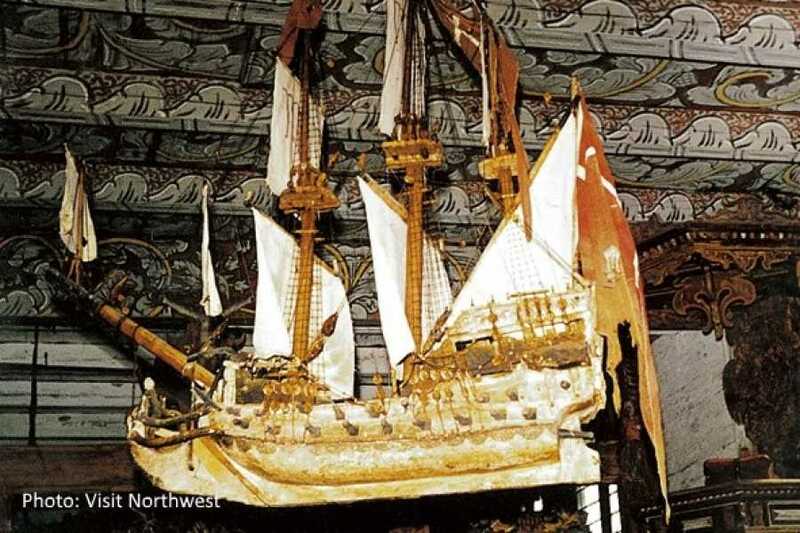 The altarpiece is from 1475. 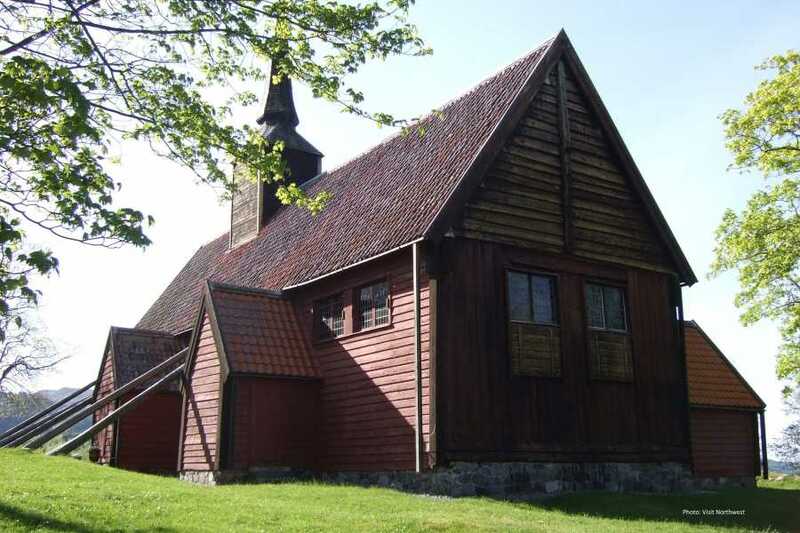 Located with a magnificent view over the Kvernes fjord and the Frei fjord, the church bears witness of a strong ritual and religious of this place, also in pre-Christian times. Next to the church you also find Gamle Kvernes bygdemuseum, a museum with old buildings, an archealogical exhibition and various activities. Note! Tickets to the stave church and the museum are not included in this roundtrip. Hopperguide uses the GPS technology in your phone to give location-based information for your trip. The information is presented through sound, pictures, text and links. Download the hopperguide app from App Store or Google Play. 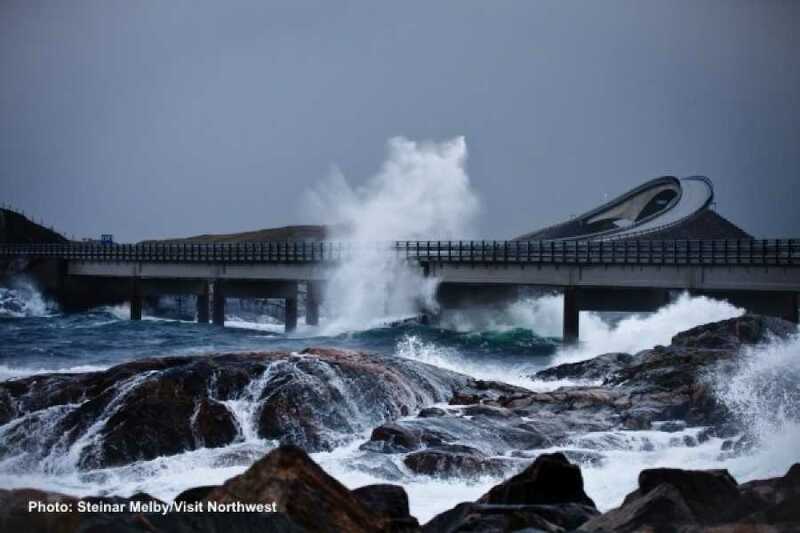 Open the app and select and download the guide for this trip, FRAM: Round trip Kristiansund - the Atlantic Road - Kvernes Stavkirke.